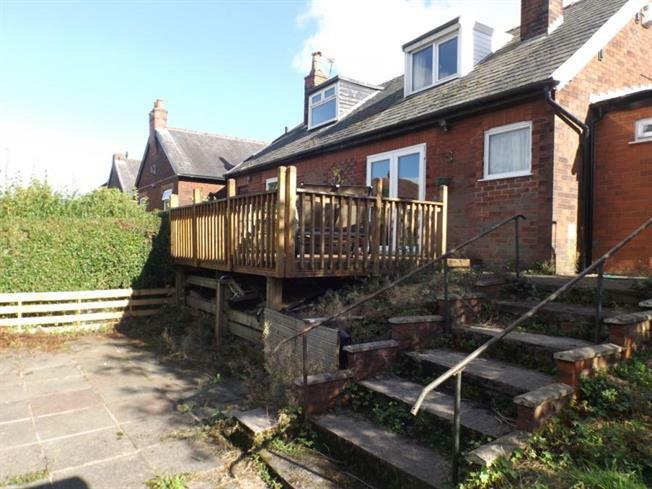 2 Bedroom Semi Detached Bungalow For Sale in Bolton for Offers Over £105,000. Entwistle Green are pleased to offer for sale this two bedroom semi detached bungalow. Internally comprising lounge, dining room, kitchen, two bedrooms and bathroom, gas central heated, double glazing and gardens to the front, side and rear. Patio doors to the rear elevation, ceiling light point and two radiators. Double glazed window to the front elevation, ceiling light point and radiator. Double glazed window to the rear elevation, spot lights, radiator, range of wall and base units with complementary work surface over, sink unit and boiler. Under stair storage, radiator, built-in wardrobes, ceiling light point and double glazed window to the rear. Ceiling light point, sink and WC. Double glazed window to the front elevation, built-in cupboard, radiator and ceiling light point. Double glazed window to the rear elevation, double glazed window to the side elevation, suite comprising low level WC, spa bath with over head shower, heated towel rail and ceiling light point. Decked seating area, patio area and raised plant bedding. Laid to lawn garden with paved pathway leading to the property.